An adventure is not always fun times. Recently our Church Adventure has been a challenge. It's in these times that I have to remind myself, that it's not about us, that I need to keep looking up to find His direction, to find His will, and ultimately to find peace in those two things, together with fellow believers. These times remind me that with human failings, our road may not be a smooth ride, but will contain rocky ways of ups and downs. But if we conquer these challenges together, with Him and His will in focus, we will prevail in sending out the Good News! 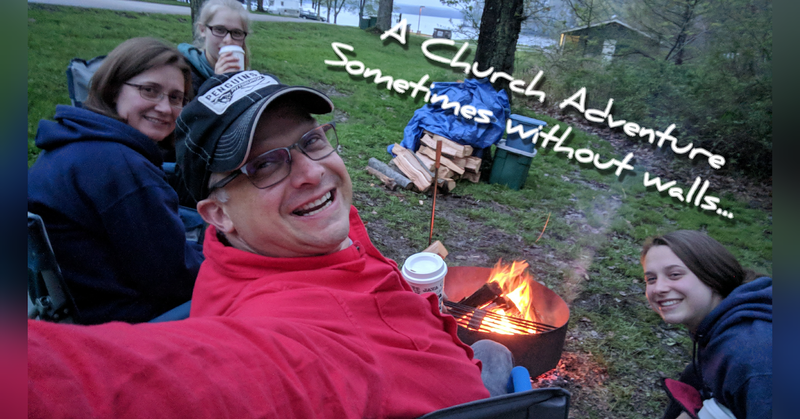 With a bit of anxiety, I look forward to the next phases of our Church Adventure. I feel that when a "Church" is not focused on being lead by God, it is time to move on. Looking forward to what's ahead, with a renewed focus on Him and His will.